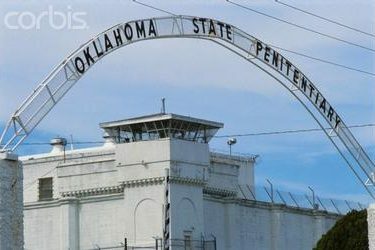 OKLAHOMA CITY — Two Oklahoma State Penitentiary inmates died in separate and unrelated incidents Wednesday. The first death was discovered after midnight in the maximum-security prison for men’s infirmary. The inmate was found dead in his bed inside the unit. The second death was discovered around 11:30 a.m. Wednesday. OSP correctional officers discovered an inmate dead inside his cell after his cellmate alerted them. The Oklahoma Department of Corrections is investigating both deaths. The state Medical Examiner will determine the cause of both inmates’ deaths. The agency is withholding the identities of all inmates pending next-of-kin notification and further investigation.